The Furore Rosso by Marisa Cuomo is obtained from piedirosso and aglianico grapes harvested manually that arrive in the cellar intact. The must passes into French oak second passage barriques for 6 months. Red with hints of red berry fruit, especially cherry, licorice and small wild flowers. Fresh, soft and rich, with good tannins and spicy references. 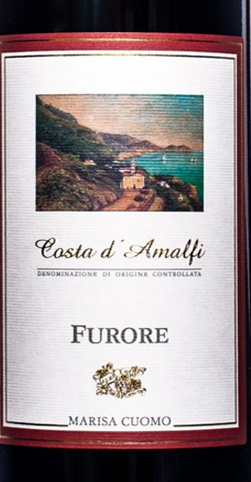 THE WINE The Furore Rosso by Marisa Cuomo is obtained from piedirosso and aglianico grapes harvested manually that arrive in the cellar intact. The must passes into French oak second passage barriques for 6 months. 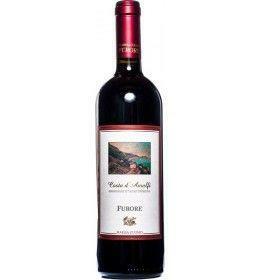 Red with hints of red berry fruit, especially cherry, licorice and small wild flowers. Fresh, soft and rich, with good tannins and spicy references. THE COMPANY One hundred and thirty hectares, of which 36 are vineyards, spread among the clayey hills of Civitella d'Agliano and the Umbrian plain washed by the Tiber. We are located in the province of Viterbo, in an area dedicated to viticulture since 1292, as shown by some historical archival documents. The Mottura estate belongs to the family of the same name since 1933, and has been managed by Sergio Mottura since the 1960s, under whose guidance the company has undergone important renewal phases, both as regards the new replanting, and as regards the cellar activity. Following the rules of organic farming, the strenuous pursuit of the maximum ecological balance is one of the company's beliefs, and even in the winery the vinifications exclude any chemical intervention, are the most natural possible. Revaluing the native vines and carrying out practical experiments on the field, those of Sergio Mottura are rich, inebriating, persistent, vigorous and enveloping wines. Unique and excellent labels, starting from "Latour a Civitella", the first ever white wine from Lazio which has been awarded the recognition of the 3 glasses by the Gambero Rosso guide on the "Wines of Italy". Before 22,00 € tax incl. Tasting Color: bright ruby red. Bouquet: hints of red berry fruit, especially cherry, licorice and small wild flowers. Taste: fresh, soft and rich, balanced, good tannins and spicy references. One hundred and thirty hectares, of which 36 are vineyards, spread among the clayey hills of Civitella d'Agliano and the Umbrian plain washed by the Tiber. We are located in the province of Viterbo, in an area dedicated to viticulture since 1292, as shown by some historical archival documents. The Mottura estate belongs to the family of the same name since 1933, and has been managed by Sergio Mottura since the 1960s, under whose guidance the company has undergone important renewal phases, both as regards the new replanting, and as regards the cellar activity. Following the rules of organic farming, the strenuous pursuit of the maximum ecological balance is one of the company's beliefs, and even in the winery the vinifications exclude any chemical intervention, are the most natural possible. Revaluing the native vines and carrying out practical experiments on the field, those of Sergio Mottura are rich, inebriating, persistent, vigorous and enveloping wines. Unique and excellent labels, starting from "Latour a Civitella", the first ever white wine from Lazio which has been awarded the recognition of the 3 glasses by the Gambero Rosso guide on the "Wines of Italy".